Ingredion, a Slack and Company’s customer, now also partnering with Activamente for the Mexican market. The member of Worldwide Partners, Slack and Company, Chicago, is the world agency for Fortune 500, Ingredion. Among other missions, Slack and Company pilots the majority of their global marketing through Eloqua, a marketing automation platform. 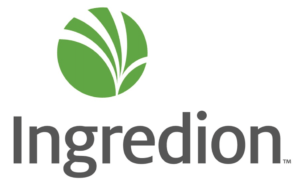 Looking for a B2B partner to help them meet their challenges on the Mexican market, and on the advice of Slack and Company, Ingredion marketing team has asked Activamente to develop their Mexican marketing. Activamente is a B2B member of Worldwide Partners. Same B2B philosophy, same experience in their respective national markets, a real commitment and a real human proximity of managers from each agency, this is what makes the particularity of Worldwide Partners network, 10th global network of marketing and communication agencies. Worldwide Partners is the largest and oldest global network of independent agencies. It is composed, among others, of 32 BtoB agencies, covering all continents. Aressy is the French Partner of the network for B2B needs.